aubrey began puppeteering during a summer internship at theatre works in peoria, az. she immediately fell in love with the craft. she loves the challenges involved in manipulating puppets while creating believable characters with distinct voices for each performance. aubrey now has experience with hand-mouth, hand-glove, rod puppets, and various shadow puppet forms. aubrey worked for two years as a puppeteer with the great arizona puppet theatre. she had a catalogue of six puppet shows that she took to various locations across the arizona valley. aubrey mostly focused on her design and building skills during her studies at uh manoa. she also researched the unique history puppetry has in america and specifically in american political theatre. her thesis work included designing, building, and performing her own one person puppet show. the show centered around the story of a young hawaiian sea turtle, or a honu, and was loosely based on the story of the ugly duckling. aubrey researched ways to best educate children and families about indigenous wildlife while keeping stories entertaining and akin to a modern-day fairy tale (more information and photos to come). you can find details about her design work in her blog or on the bfg page. select photos of her work are below from the journey home (blog post to come), the great arizona puppet theatre, and other independent projects. hover over photos for more information. these are puppets that were designed and built by aubrey for the bfg in the fall of 2014 at the university of hawai'i at manoa directed by mark branner. you can read more about the process and see more of the puppets built for this project on its on page and on blog. in february 2014, aubrey was the head puppeteer in the first installation of the wonderdome project. 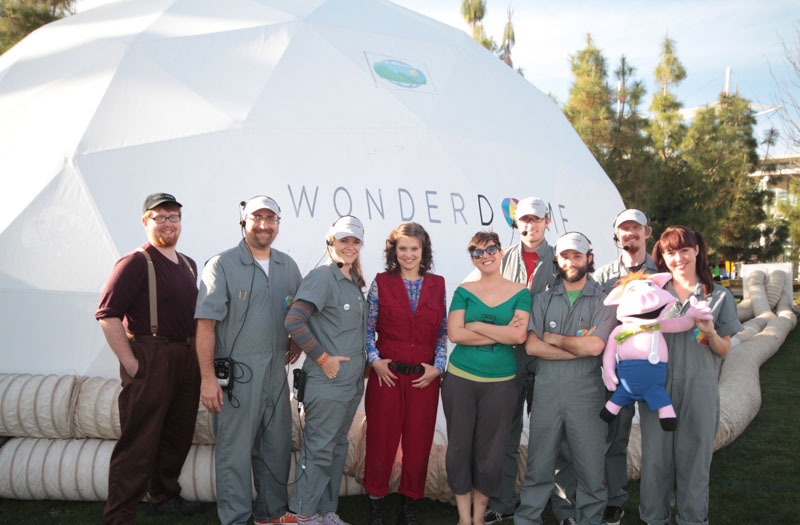 aubrey performed as pinky the pig, pictured here on the far right, inside of a totally immersive, 360 degree dome space. the show included puppetry, media, and immersive sound. aubrey puppeteered the hand-mouth version of pinky as well as a media version manipulated with a wii remote. these two puppets were designed by aubrey for the journey home. they were then built by the amazing jay tyson. see more about the design process and the process of writing and devising this show on the blog. in the fall of 2015, aubrey performed as hannah in an adaptation of anthony browne's wonderful children's book gorilla. read more about her experience and see photos on her blog. artistic director of the great arizona puppet theatre, gwen bonar (left), and aubrey performed a short piece about two dinosaurs written by a third grade student using giant, parade style puppets. this piece was part of imagine this, a project where elementary students write stories that are then chosen to adapt into puppet shows. 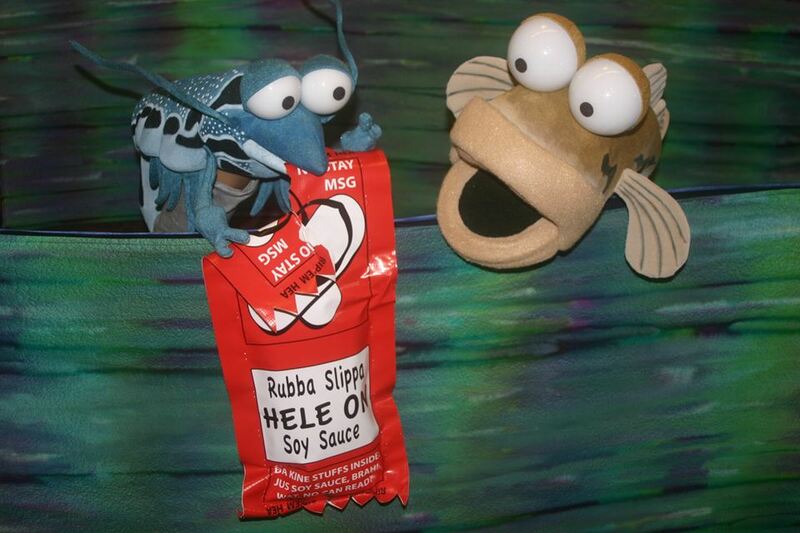 these puppets were also used to perform an adult slam version of the same piece for several puppet slams, including the 2015 phoenix comicon slam. another from the imagine this project - here is a piece that aubreyadapted and designed called hellen's dream written by an eighth grade student. during a few special weekends each year the great arizona puppet theatre hosts adult puppet slams. for this event, aubrey and fellow puppeteer tanner stuff created a shadow puppet piece that was choreographed to music from the disney film finding nemo. the piece told a story similar to that of the movie, but with a more realistic and tragic end. the show that aubrey has toured most often, the pirate and the toothfairy, is a hand puppet show for children aged 2-5 that entertains, delights, and carries an oral hygiene message. puppets by the great arizona puppet theatre.